This non-paper is a discussion document that provides both a context analysis and impact assessment. The objective was to find concrete areas of cooperation and the level of effect this would have. This served as a first step in the process of assessing the need, opportunities and possible pitfalls for building a maritime strategy. This report also served as a basis for the four stakeholder meetings that were held in March 2016. 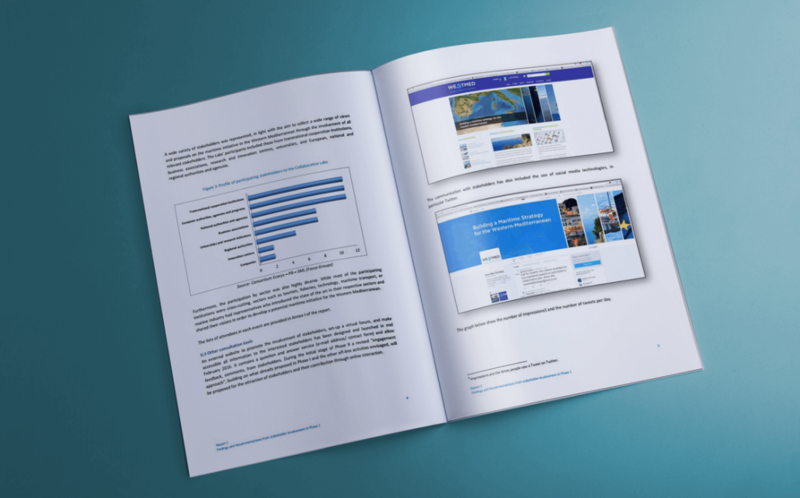 The second report elaborates on the main challenges and opportunities that (building) a maritime initiative would hold for this sea basin. It reflects the thoughts and ideas that emerged from intensive discussions with a wide variety of stakeholders at four different meetings (i.e. ‘Collaborative Labs’) in Rome, Marseille, Tunis and Barcelona. This report with its findings and recommendations served as a basis for a discussion with the member states on EC level and the decision to move forward with phase 2 of this initiative.